When your tv breaks, it can leave you feeling down in the dumps. That&apos;s not where your old tv goes, though. And whether your kid&apos;s tv gave out or you just decided to upgrade, you are now stuck with what to do with the old set! Sure, not a big deal if you can sell it, right? But if you can&apos;t sell it, you need to dispose of it...PROPERLY. Did you know that, according to Earth911.com, only 40% of consumer electronics (like tv&apos;s) were recycled? 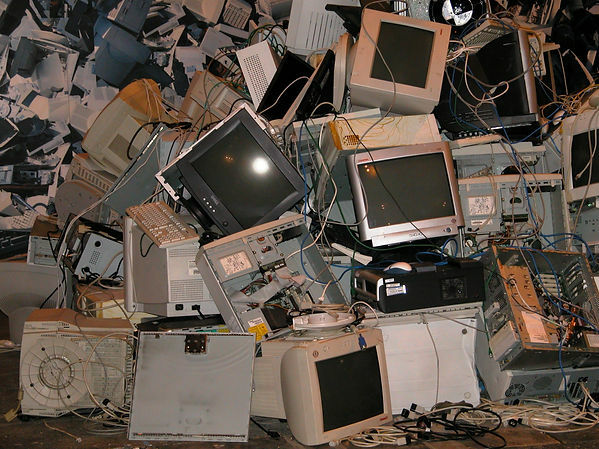 That leaves over half of all consumer electronics sitting in landfills. And while electronics in our landfills has a lasting impact on the environment, it has a more immediate impact on our community. How? If you throw away a tv in one of our dumpsters, the city will not empty that dumpster! This leaves trash sitting around longer, which can lead to an overflowing dumpster and attract pets! (not to mention the intensifying, horrible smell!) Do your part to help make GRE Properties a more socially responsible community - dispose of your electronics properly. Here&apos;s a list of items that cannot be disposed of in the trash along with a list of local recycling centers like Kuusakoksi Recycling on Townline Rd in Peoria. Do you have thoughts on recycling? Let us know! And please feel free to share this article with your neighbors!